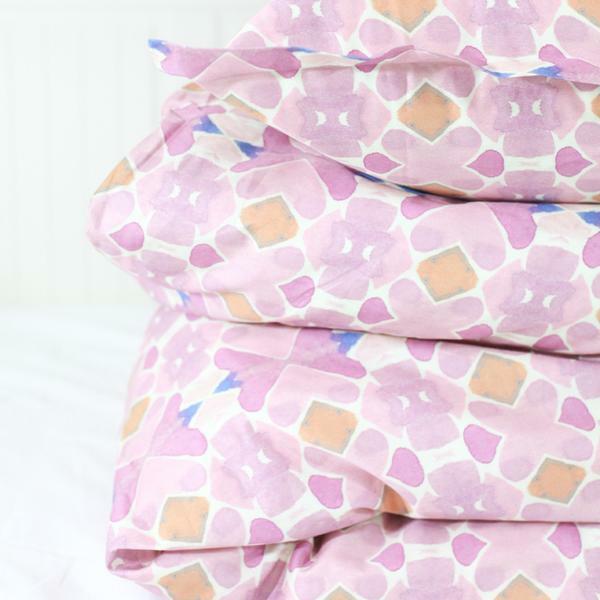 I am always on the look out for beautiful bedding...and I found it! Shay founded bunglo by shay spaniola in 2013 and has been on fire ever since. 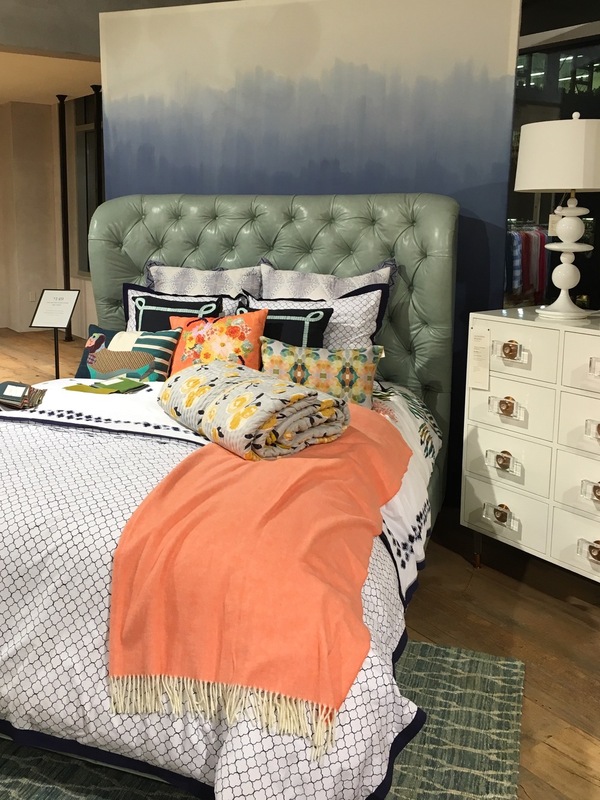 You can find her beddings and beautiful pillows here and she is also at anthropologie! Say what???? So amazing. My bedroom received a little make over with her bedding...now to get some pillows...I know I know....pillow addiction right here! Take a look at her fabulous designs and water color prints and read the little interview I did with her below. 1. When did you become interested in art and how did you start? I've always been interested in art! I started painting at 3 and haven't stopped! I took art classes out side of school at a young age, studied fine art and believe it's my way of connecting to my soul! It's more of a feeling that I 'have' to create... it just pours out! 2. When did you start your company and when did your drawings become dreams? I started with an idea in December of 2013, 6 months later I launched my first collection and haven't looked back! It's been a dream come true to focus on my art and share my patterns with the world. In my free time, I love creating, being outside with my dog and fiance, TRAVELING! Yoga, making plant based meals and gardening. 4. What would you describe your style in your home? We just moved into a charming 1920's 'bunglo' in Asheville, North Carolina. We recently purchased 2 large flax linen sofas from restoration hardware and a mid century table from @atomicfurnishings - everything is very simple. We like to keep the house 'zen' - we only used plants and crystals to decorate (and of course bunglo rugs, baskets and pillows!). I'm all about soft grays and making my space feel like a meditation space. I think salt lamps + intentional patterns are the key to enlightening a space! A simple life with an emphasis on living in rhythm with mother nature. 6. 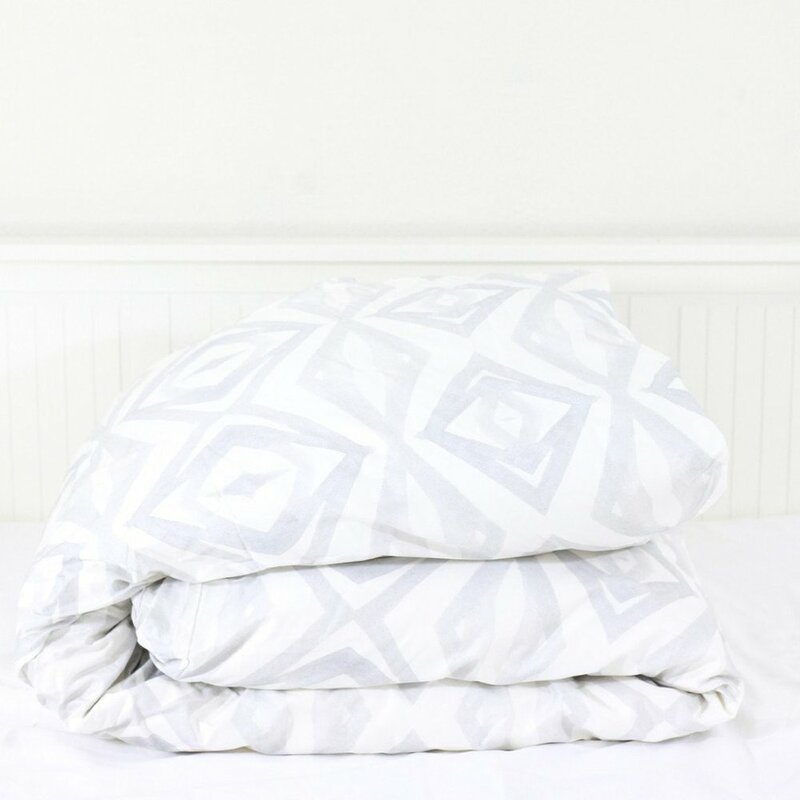 Your favorite bedding and pillows currently for sale. I love them all! I make tons of designs each month, the ones I put into production are my absolute favorites! I love how you can mix and match them to get a new feel every season. We're launching a photo collection with Anthropologie in August that I'm pretty pumped about! 7. 3 words to describe you!!! Creative, adventurous and happy :) I truly love life and so grateful for my time on earth! Look at those fab pillows at anthropologie! Love it all. Be sure to take a look at her instagram page here and her gorgeous website here. Have a beautiful day darlings! This store gets me.every.single.time. Can we say butterflies? I think so! When a store gives you a feeling like you could live there...ummm....they did an amazing job. If you frequent Portland, Oregon often or plan to visit soon the Anthropologie in the Pearl District is an absolute must. I had the privilege of going to the opening night via They Call Her Smith. She is adorable and a hoot! I love how they mixed their clothes and shoes....(yes shoes!!!!EEEKKK!) with furniture that made you happy just staring at it. They also had a beauty section, work out apparel and the entire store looked like my dream home. 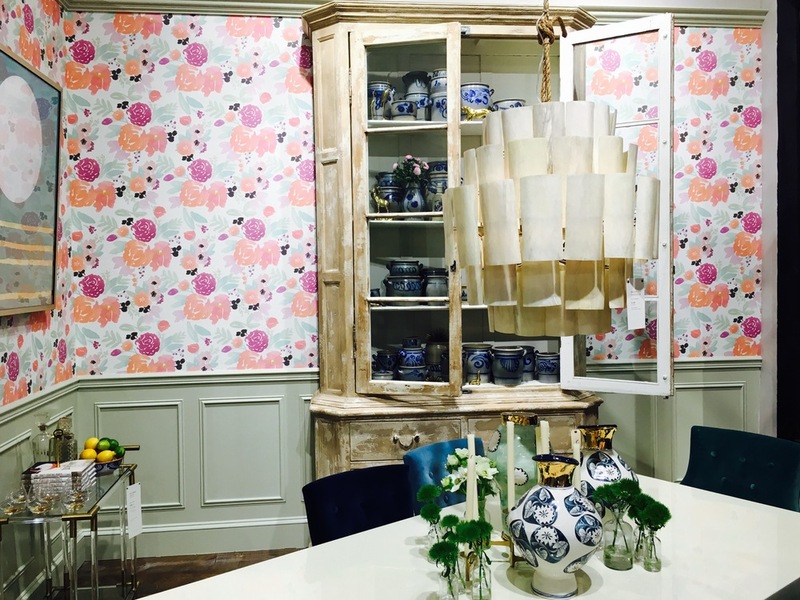 I think this wallpaper would look fab in anyone's space.....what do you think? The selection of chairs and fabric were unbelievable. 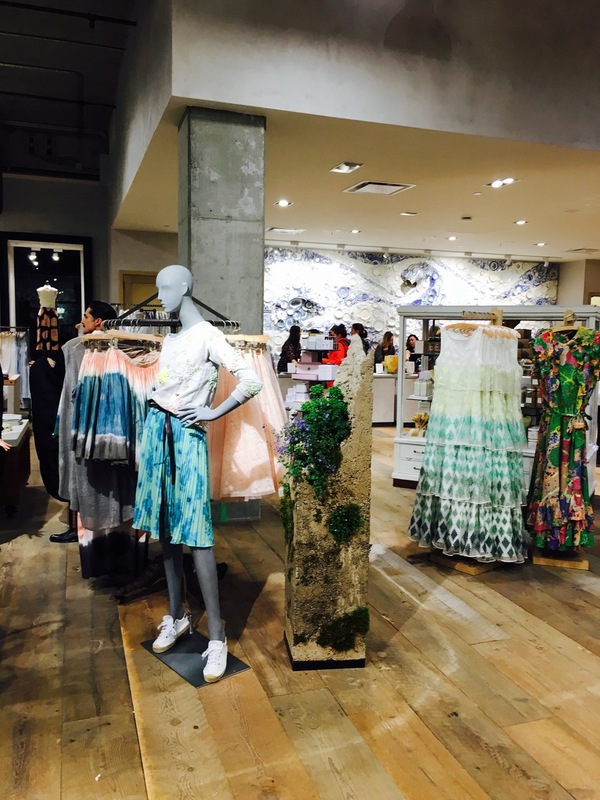 It felt as though you were in a unique boutique store on a larger scale without the feeling of a big department store. Say what!? Amazing, just amazing. Coffee anyone? Wouldn't this be a fab idea in a kitchen? 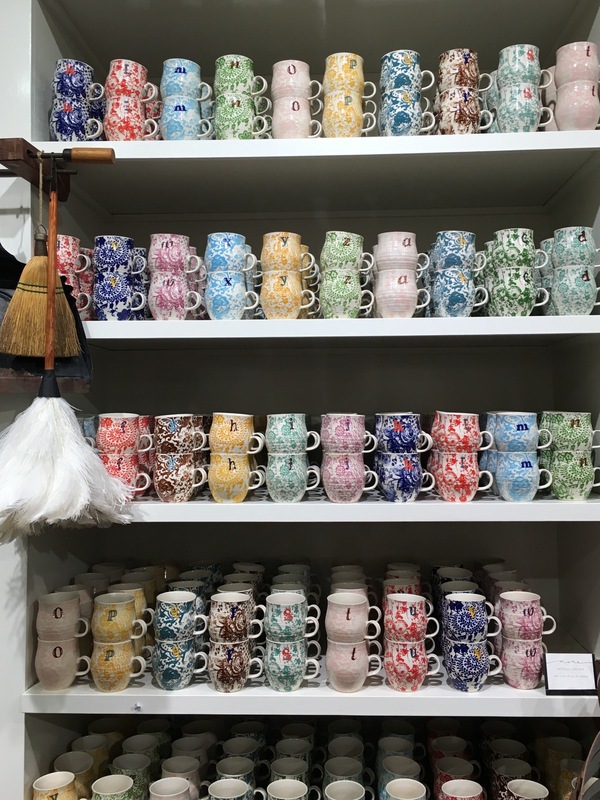 The colors, smells and overall look of the new Anthropologie is the ultimate experience in Portland. I had such a lovely time as it was also my sweet mama's birthday and lots of giggles and sore feet were had! Thanks for the love reading today's post!